Weekly Service Areas – All Darwin CBD and all other NT towns and suburbs, including Jabiru, Alice Springs, Uluru, Tennant Creek, Newcastle Waters, Cape Crawford, Pine Creek, Nhulunbuy, Katherine, Kununurra, Daly Waters, and all places on route (7 days per week). Relocating to another state can be a stressful experience, but when you choose Transcorp Removals & Storage, it doesn’t have to be. 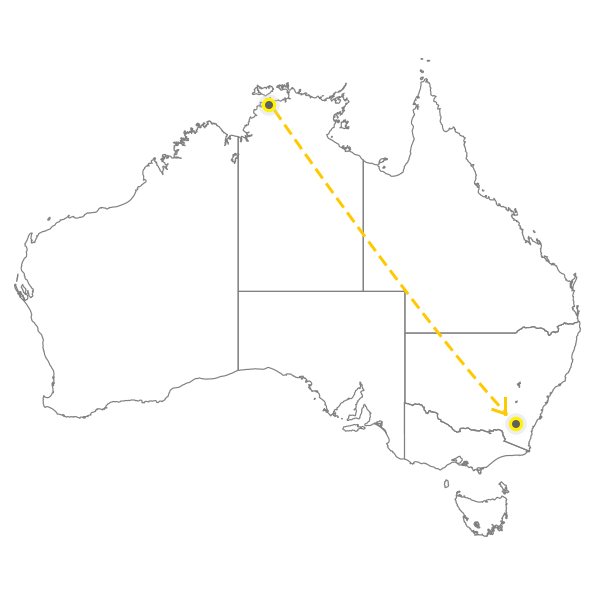 Whether you’re making the move from Darwin to Sydney, Melbourne, Perth, Adelaide, Canberra, Tasmania, Brisbane or the Gold Coast, our dedicated team of removalists are the trusted choice for stress-free interstate removals. Fully trained and qualified, you can rest assured we have the necessary knowledge and equipment to ensure your move is smooth and successful. We use suitable equipment and have a fleet of fully equipped vehicles to ensure your belongings are transported safely. We offer some of the most competitive interstate removalist rates – request a quote today! As well as assisting with your relocation, we can also help out by supplying you with cheap packaging materials and boxes. To learn more about why Transcorp is a leading choice for interstate Darwin removals, or to request a free quote, contact Transcorp Removals & Storage today. Give us a call on 1300 466 838 or simply fill out our quick online quote form. 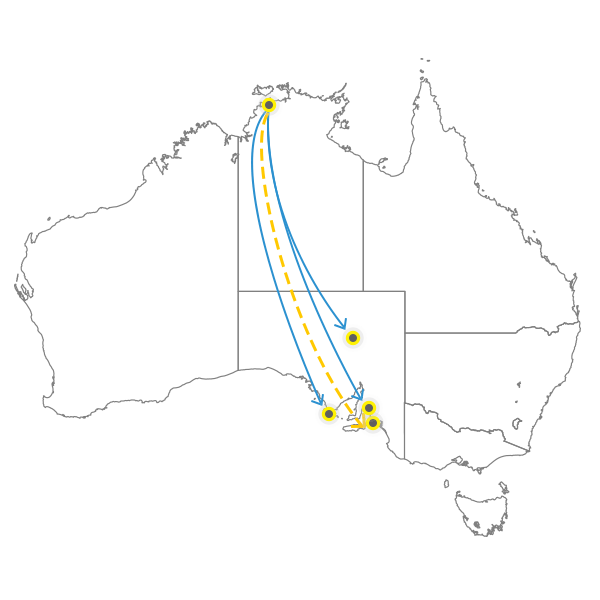 Interstate Removals to or from Darwin – How Long Does It Take? Storage can be provided if necessary. Travel times are based on consolidation of loads (Backloading). Depending on the volume of removals performed, we may be able to carry out your move faster than noted. If your interstate relocation is urgent, we can arrange an exclusive vehicle or removal container in order to reduce transit time. We may use a local removal truck if there are any areas with difficult access. Please inform your sales consultant of any potential access problems.